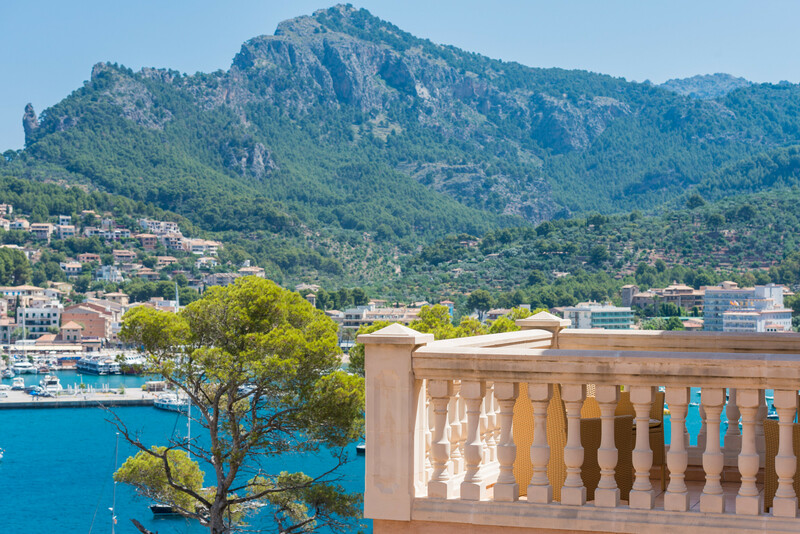 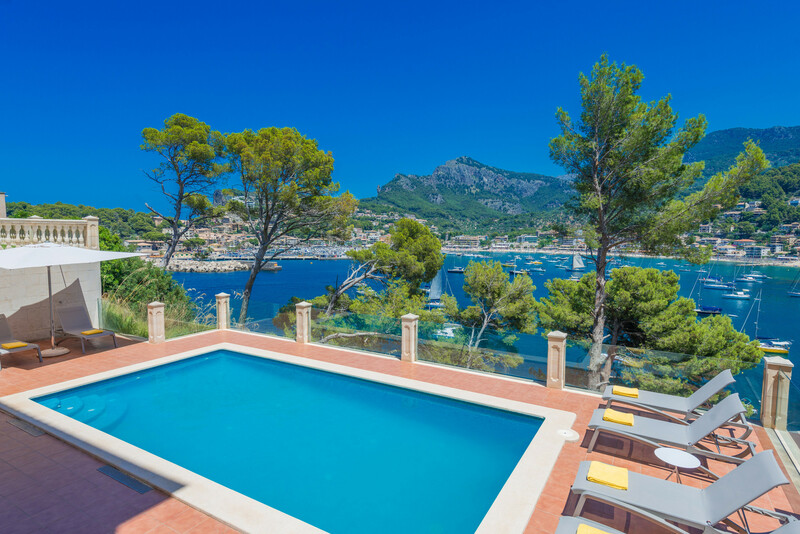 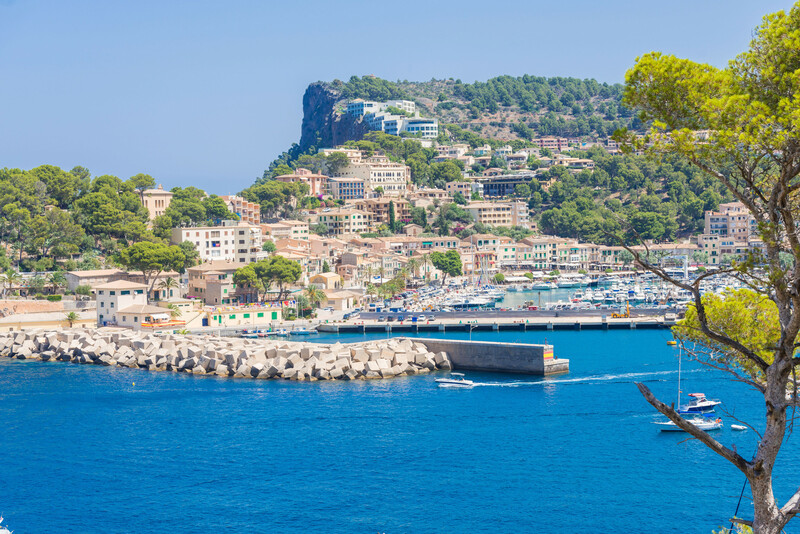 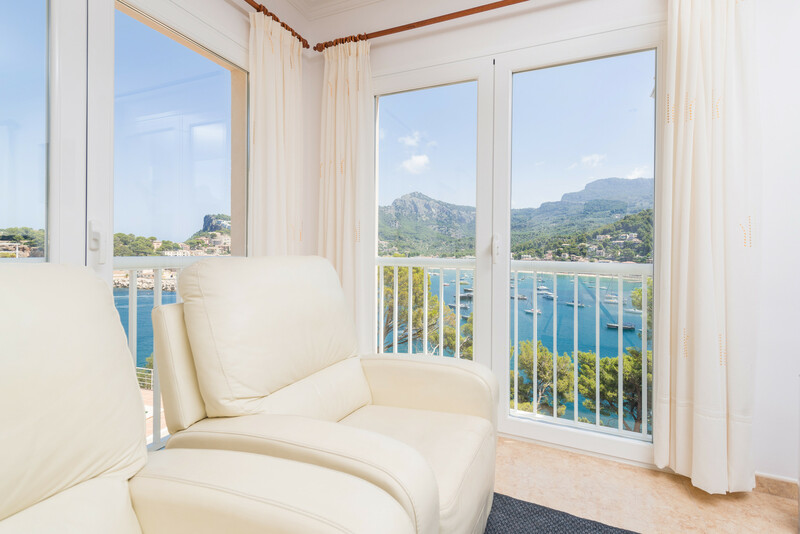 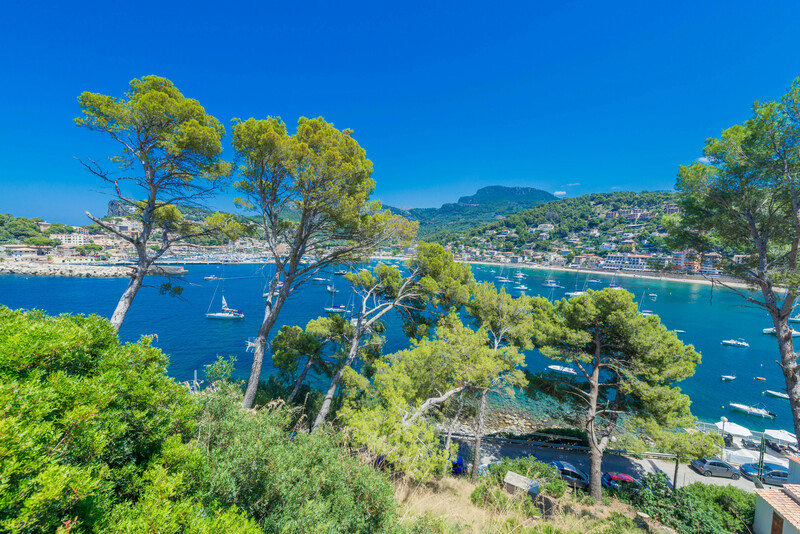 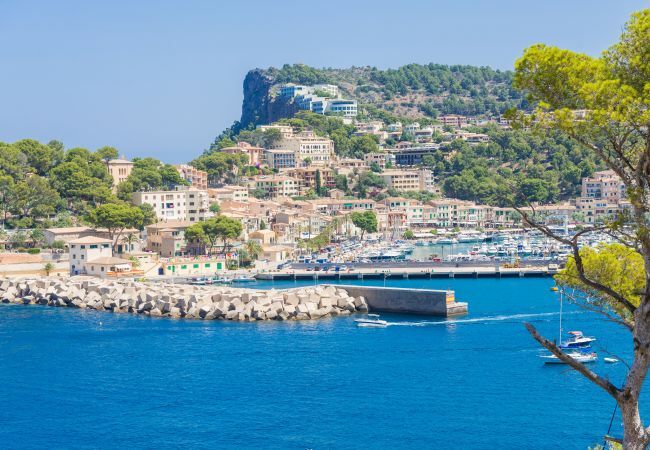 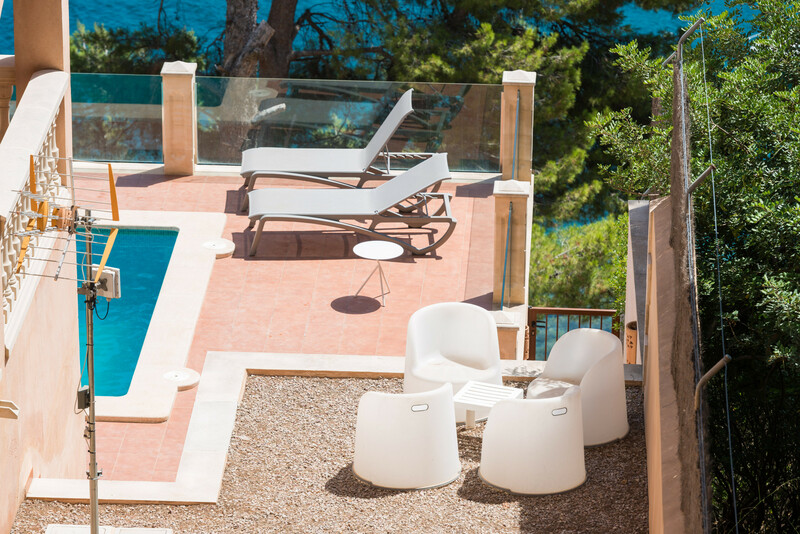 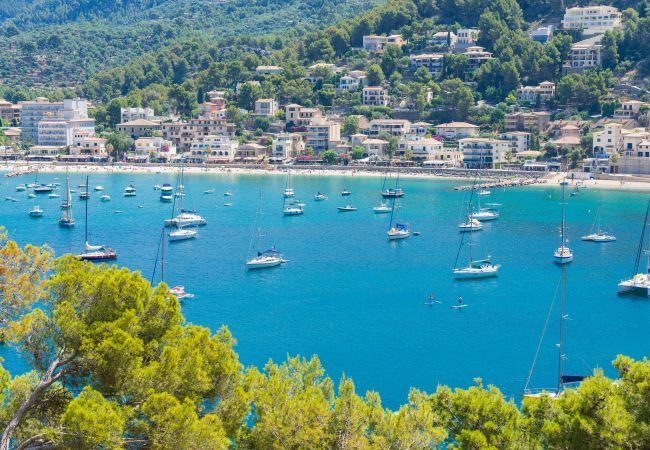 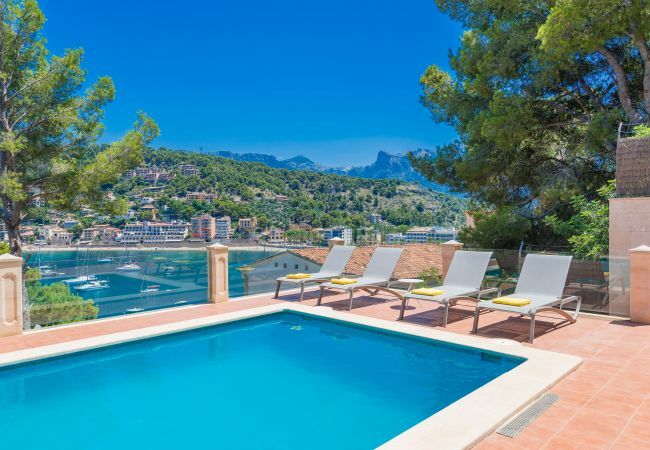 Solelladas offers us to enjoy the best summer experiences with its terraces from where we can admire the fabulous views of the port, enjoy reading under the porch, sunbathe in the hammocks placidly or freshen up in the pool. 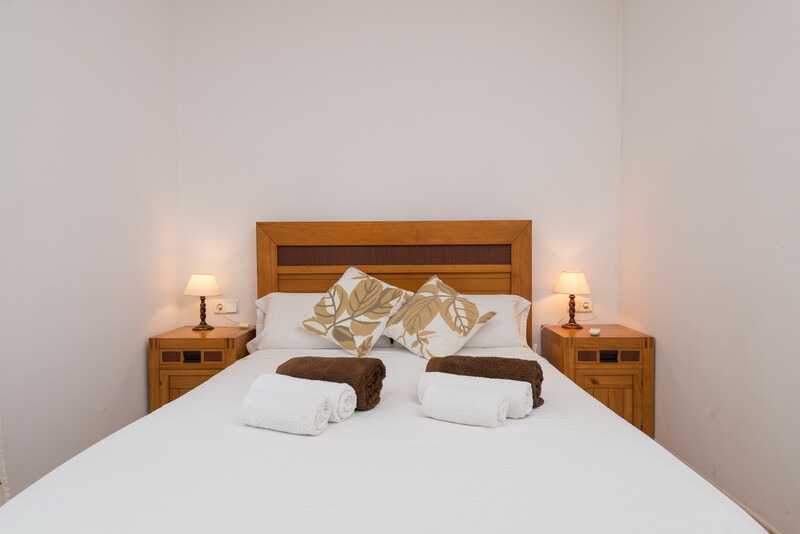 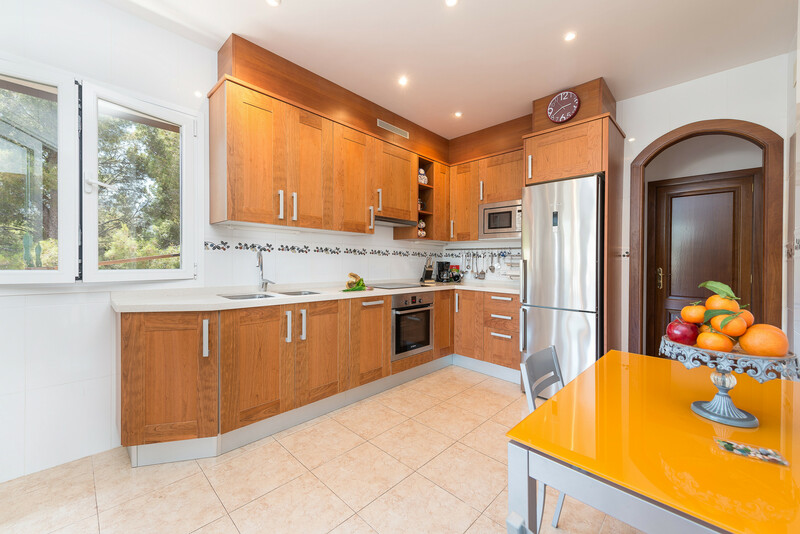 This property can accommodate up to 8 people in its 4 double bedrooms that have heating and air conditioning. 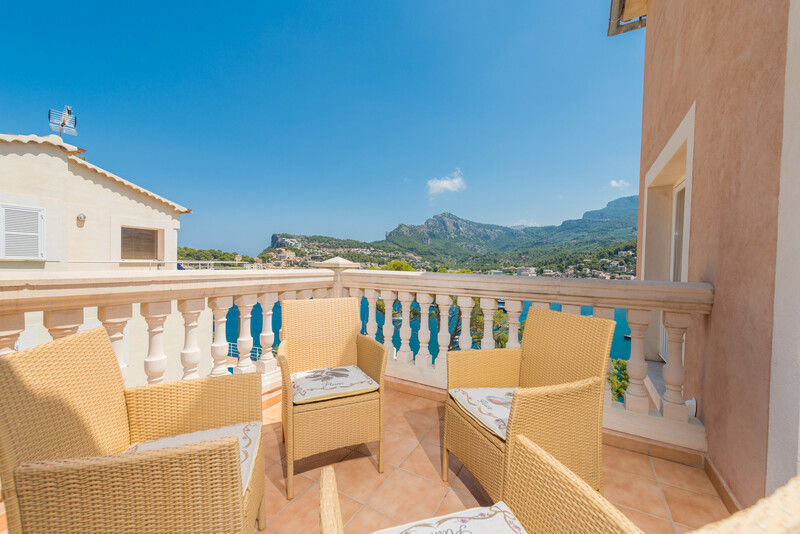 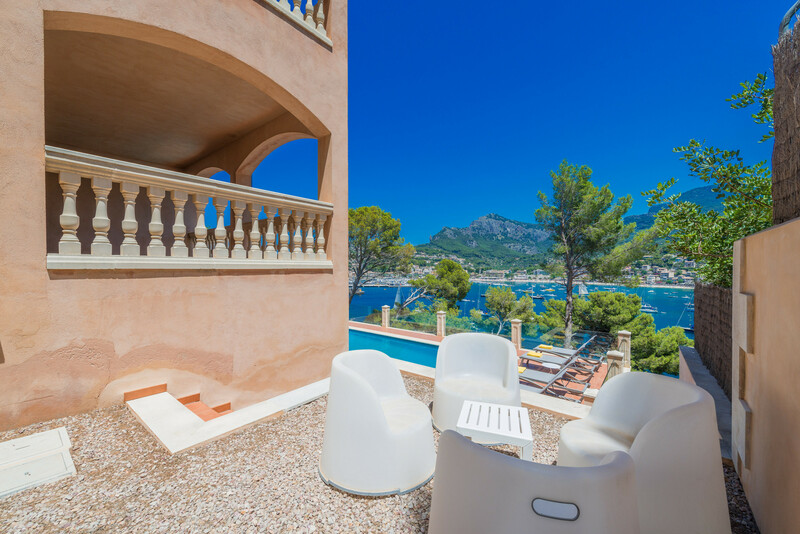 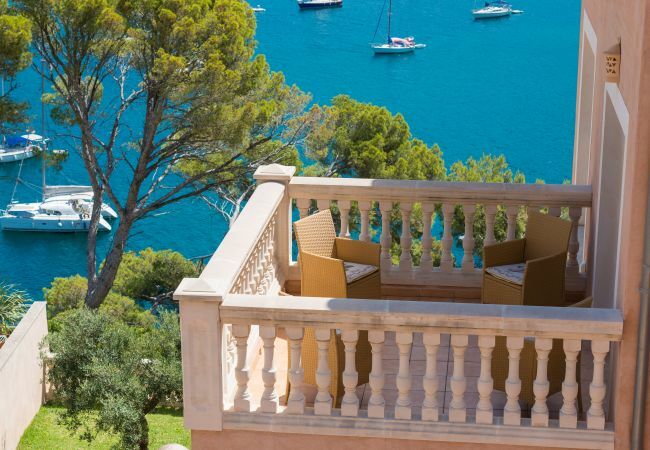 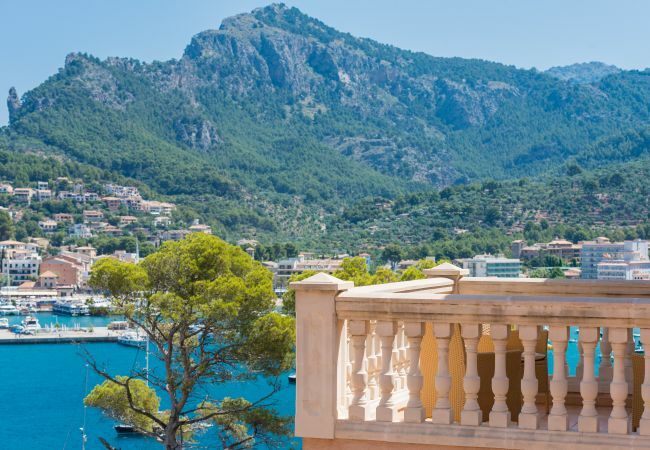 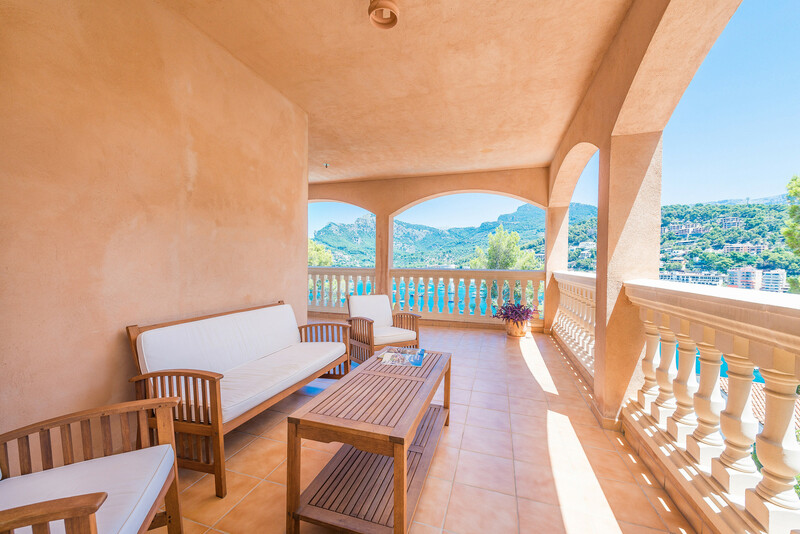 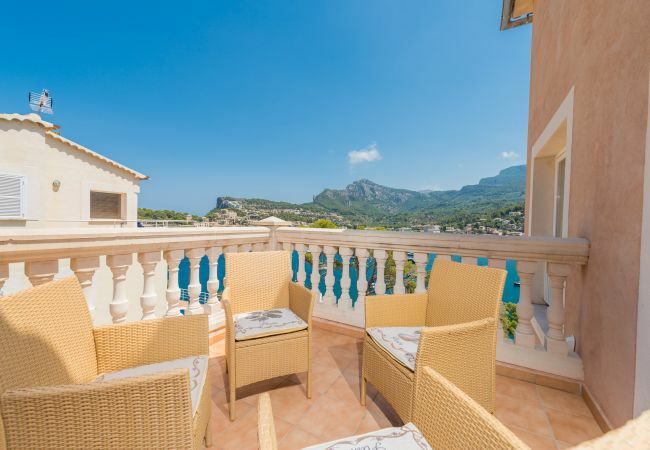 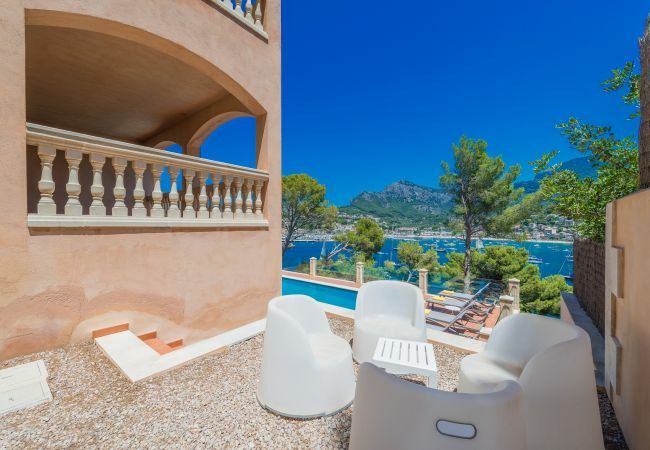 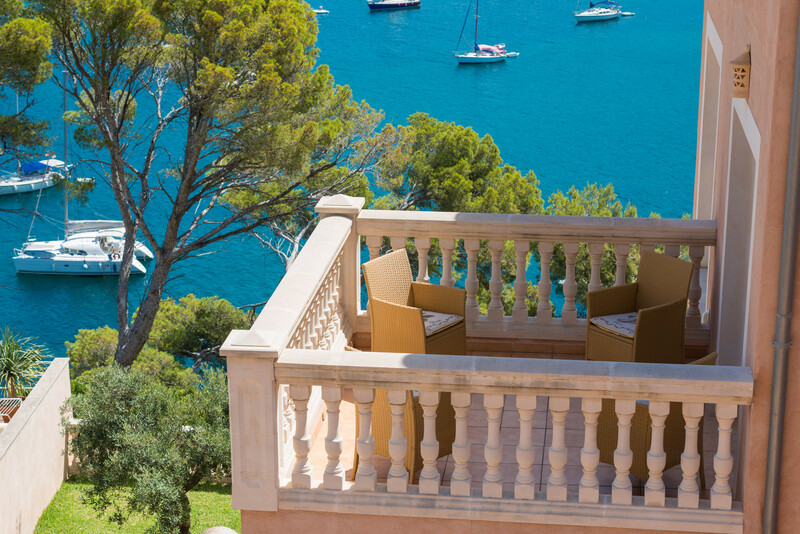 Three of them have direct access to the terraces and their wonderful views. 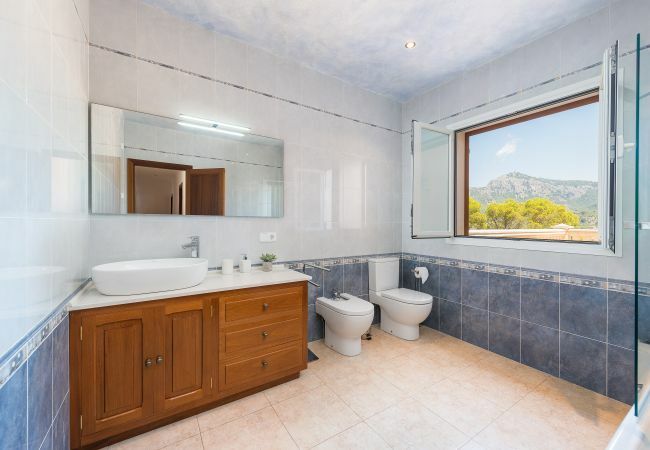 Of course the property has parking available. 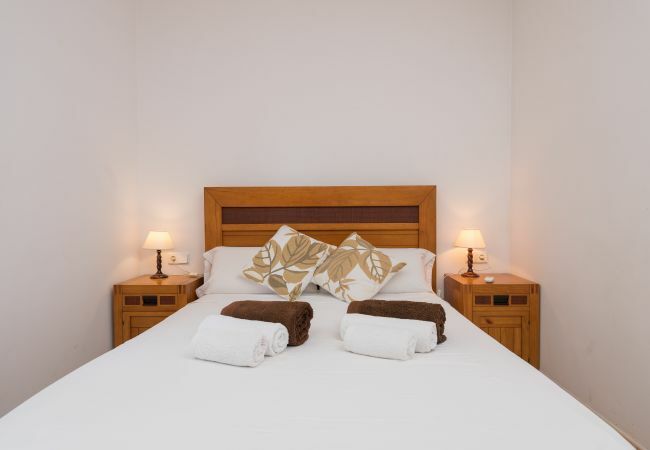 - 4 Double beds, 1 Sofa bed double, 1 Extra bed. 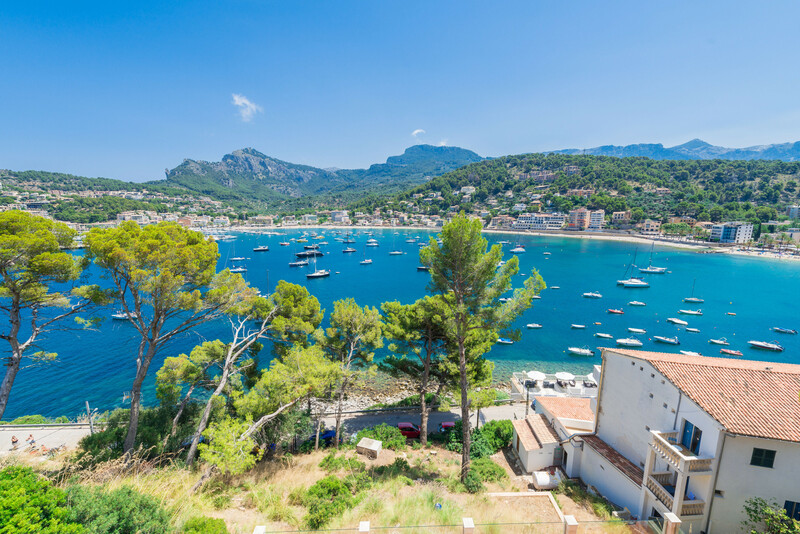 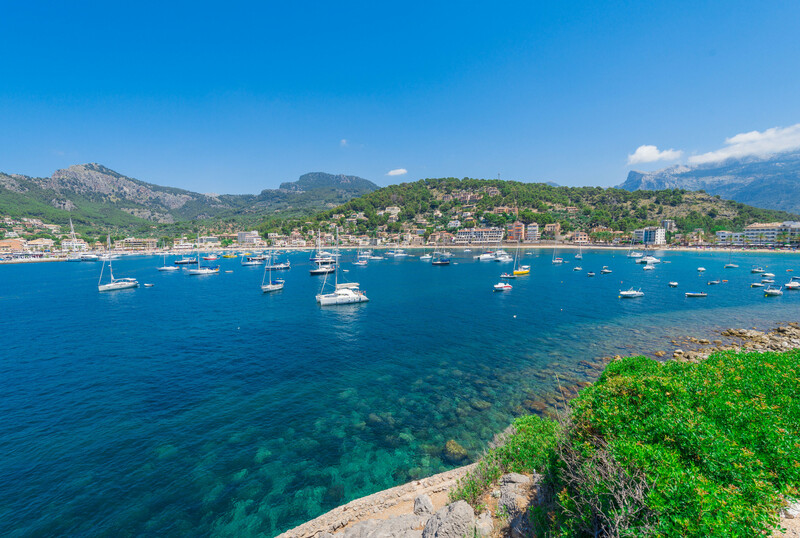 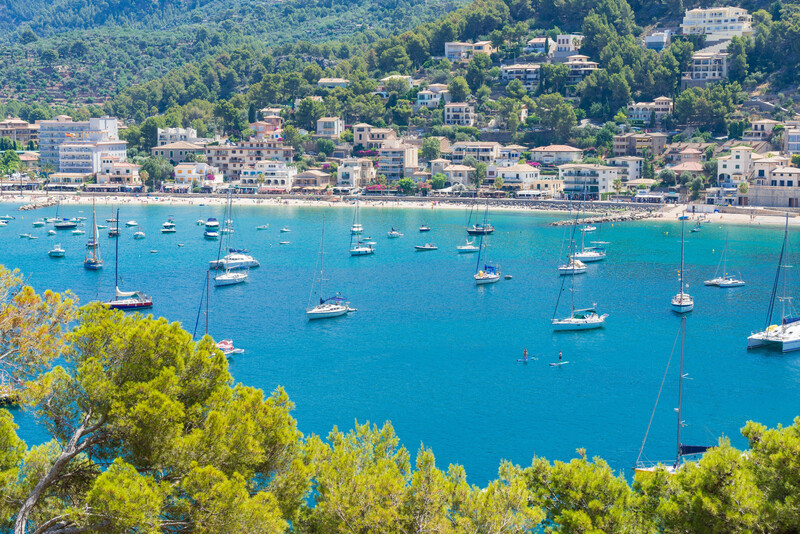 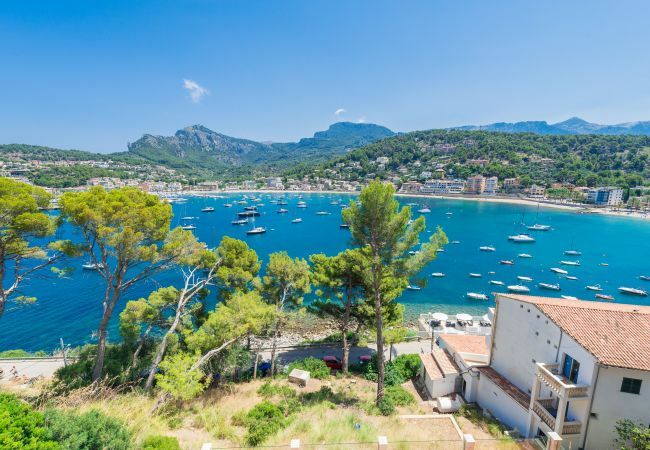 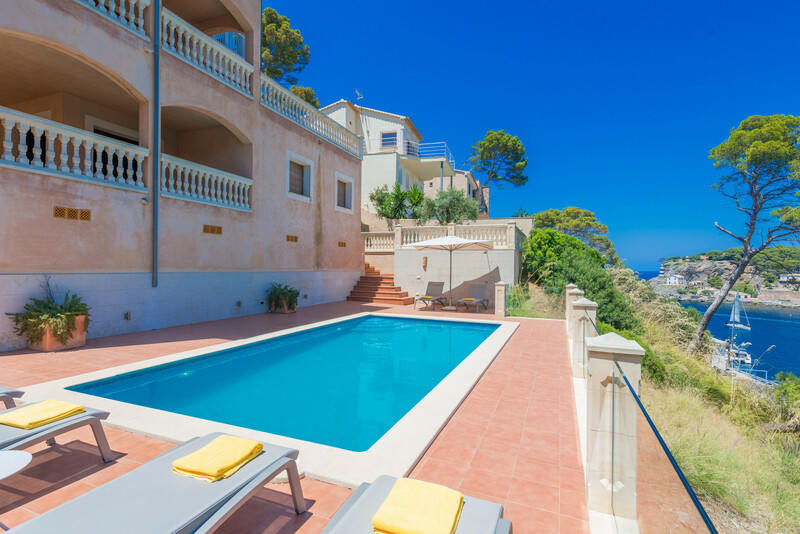 - beach, Sea, Garden, Mountain, Swimming pool. 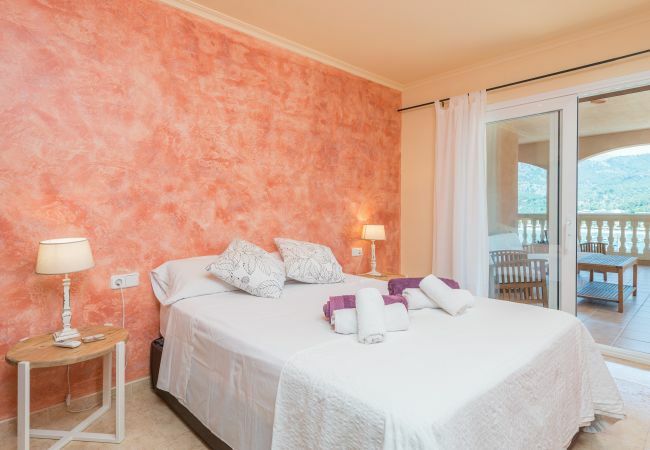 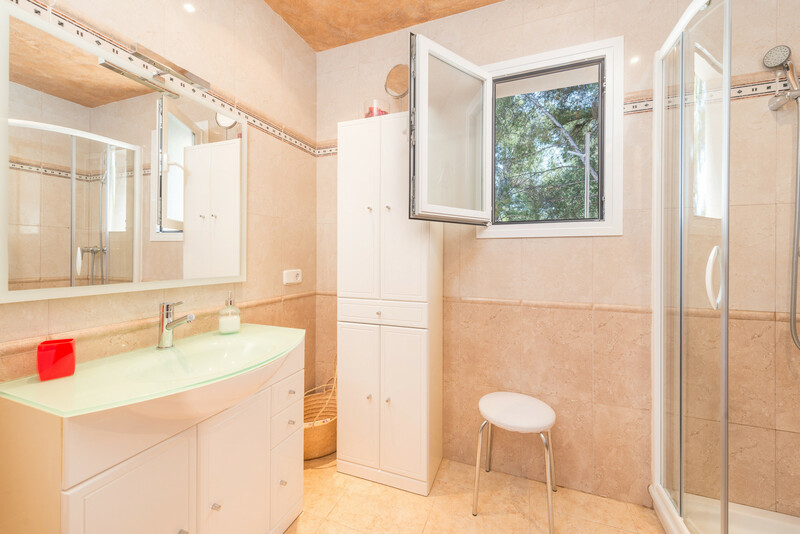 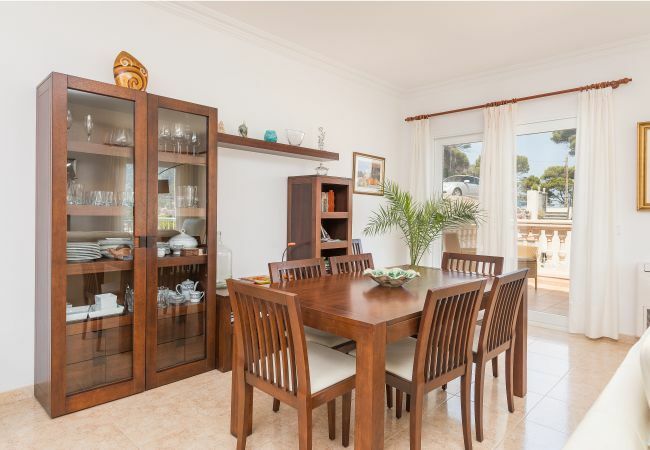 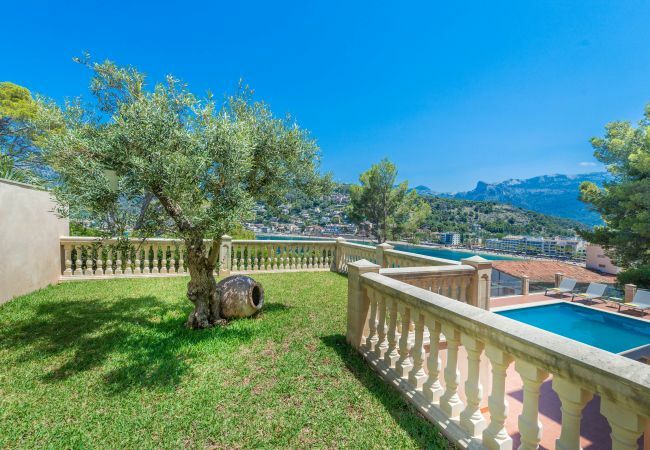 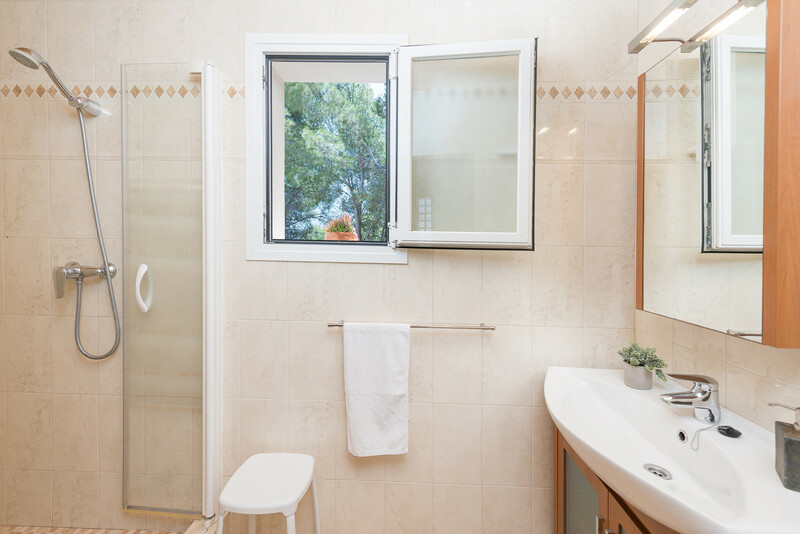 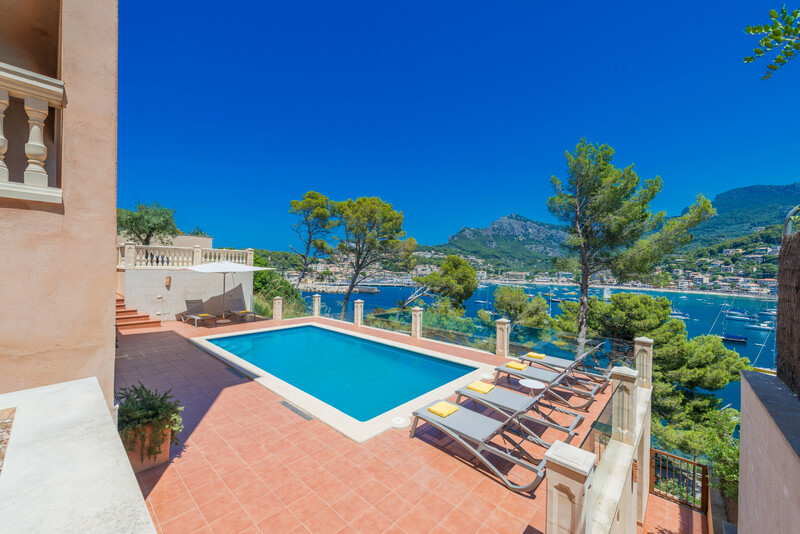 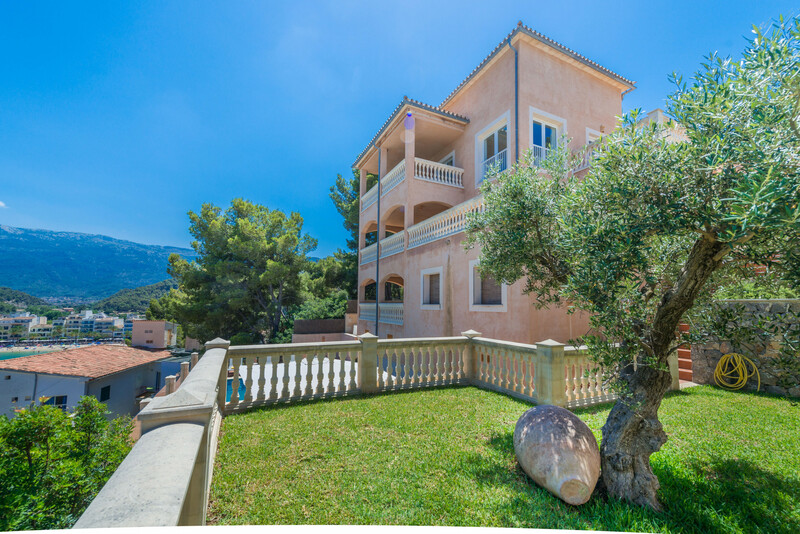 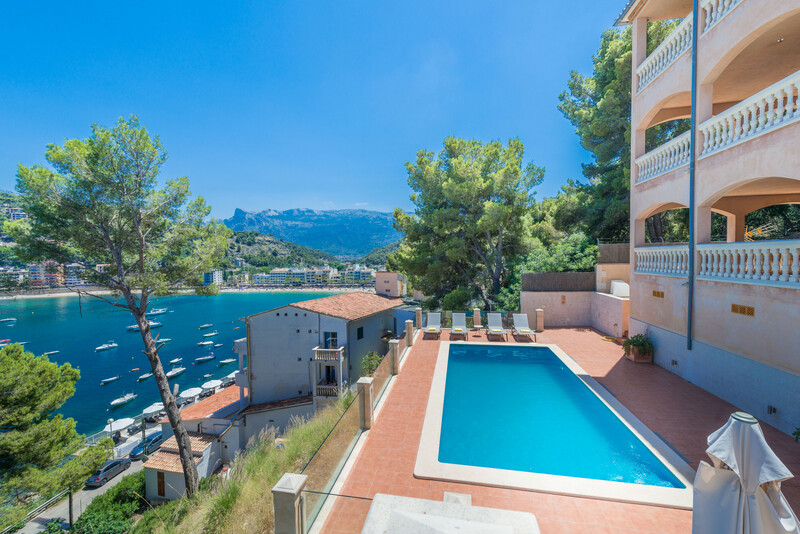 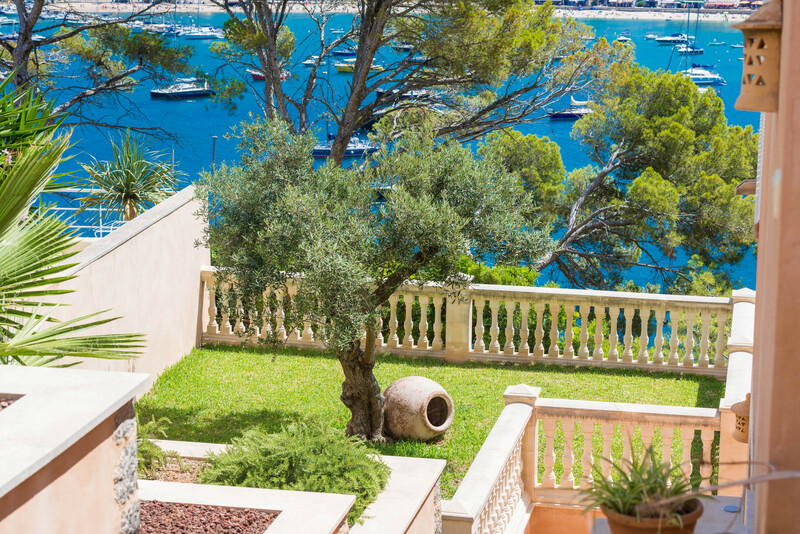 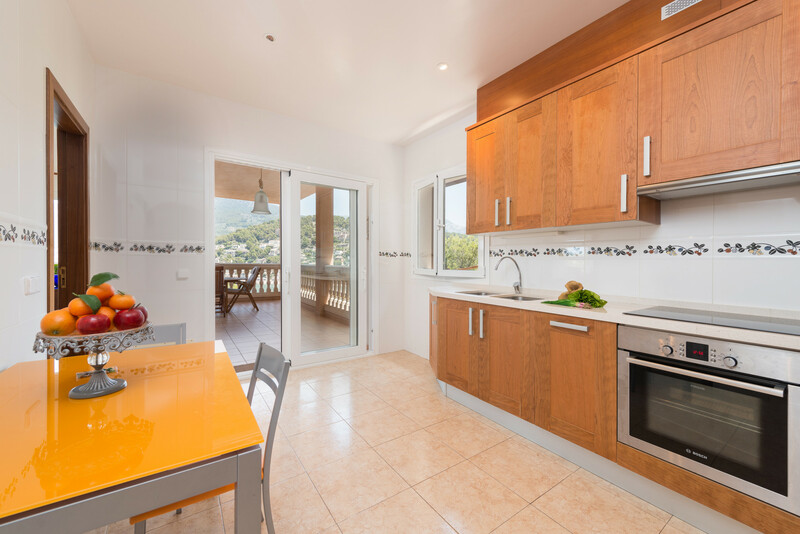 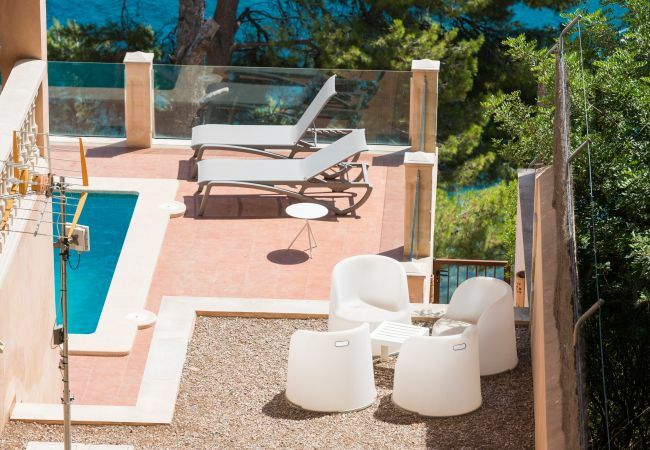 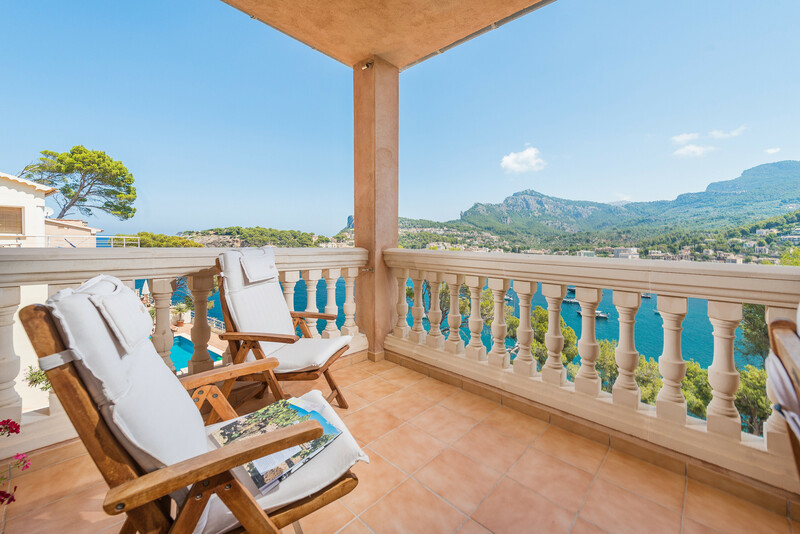 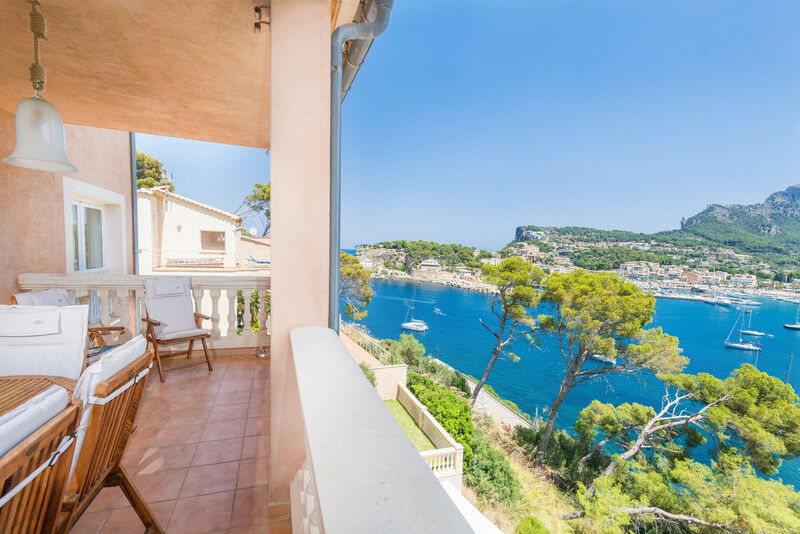 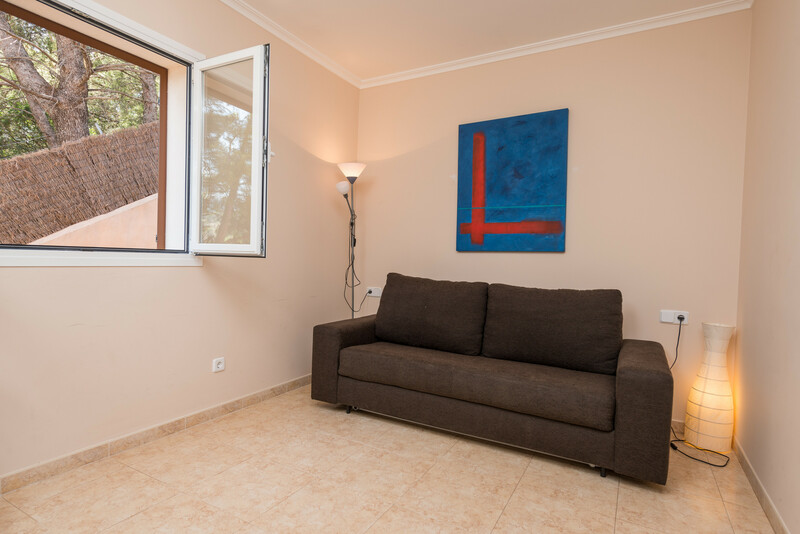 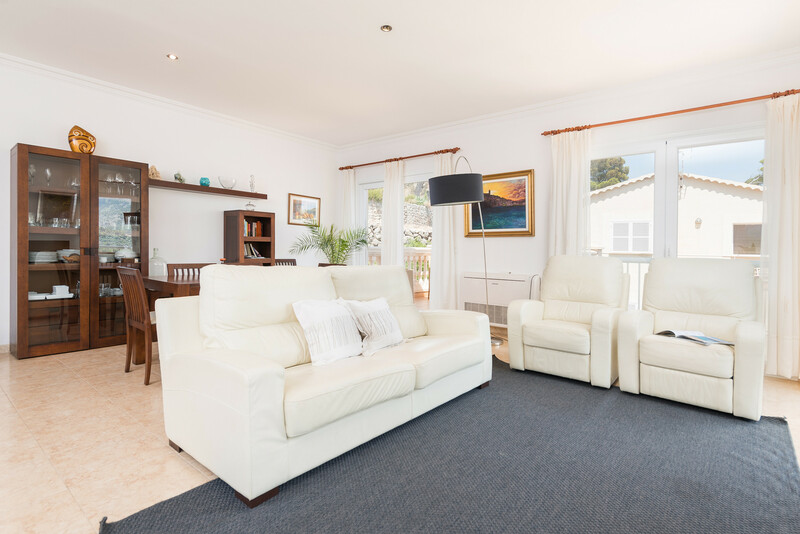 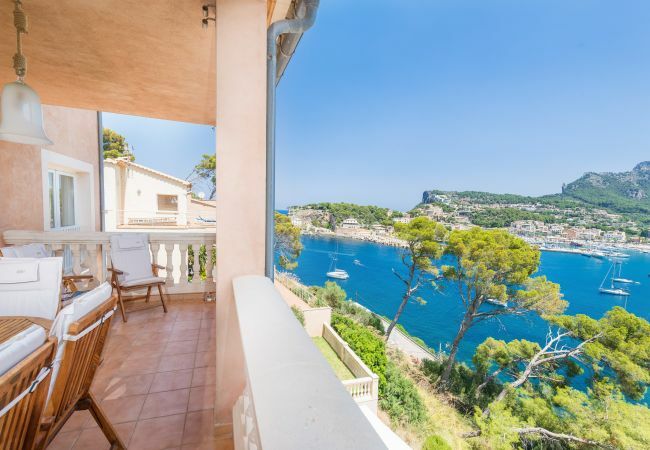 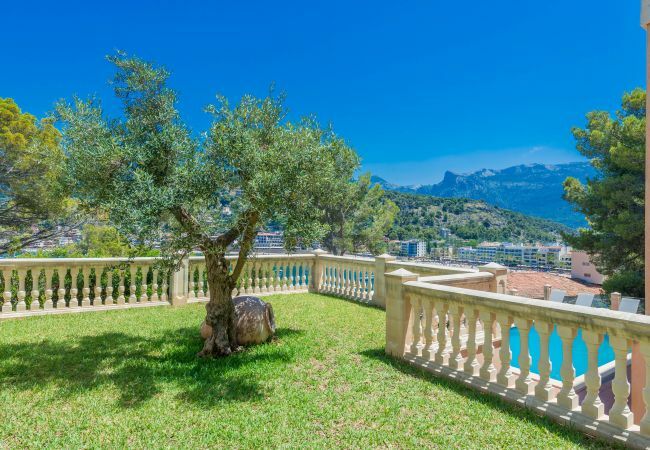 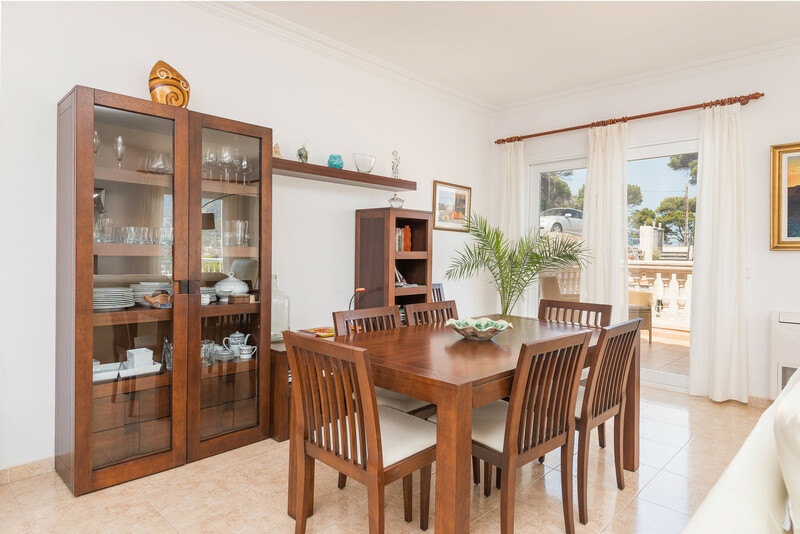 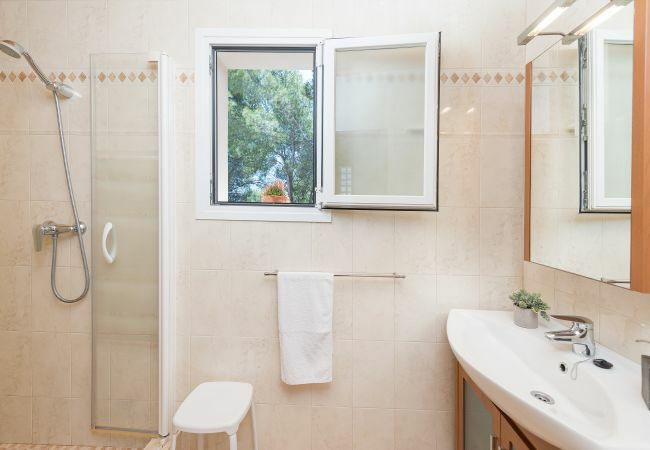 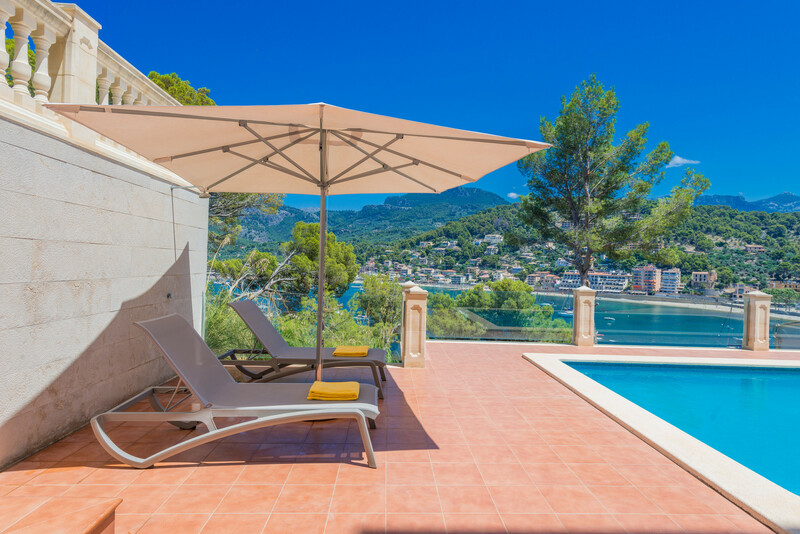 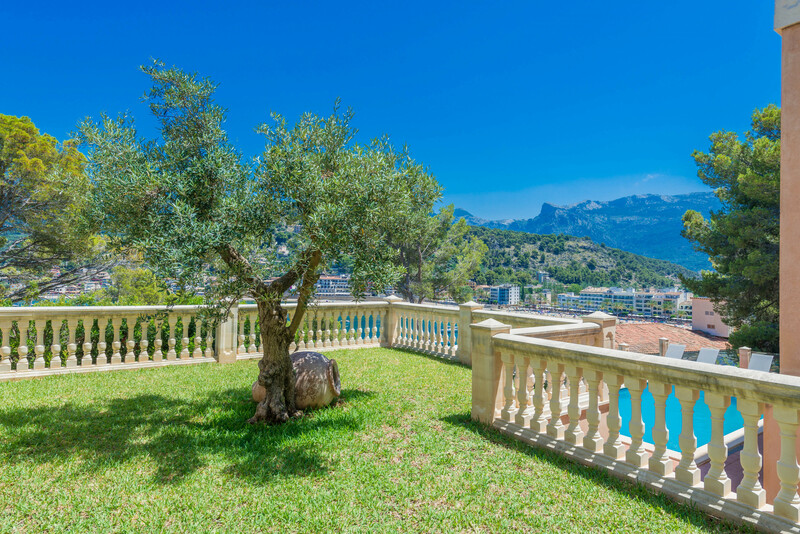 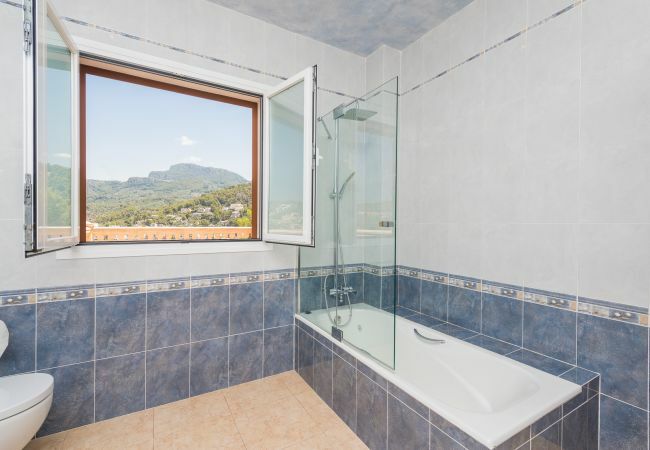 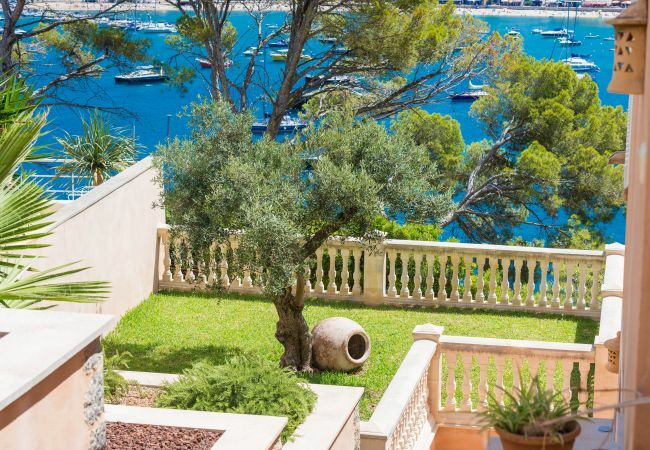 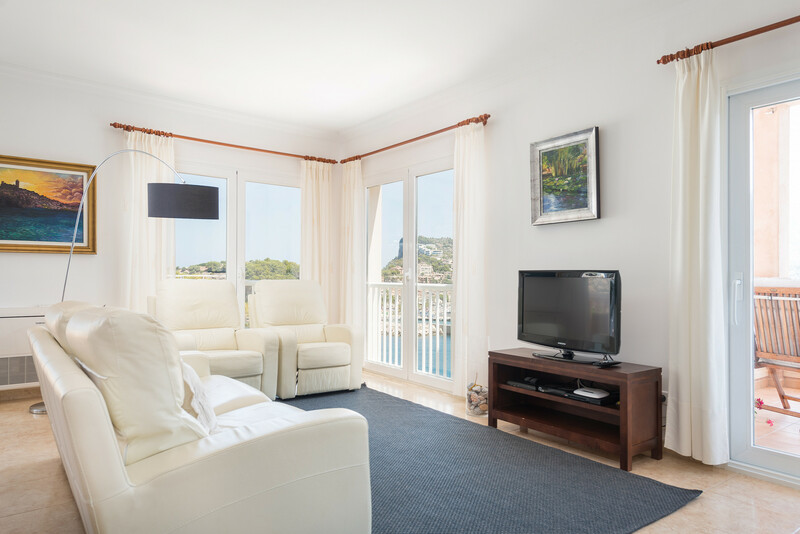 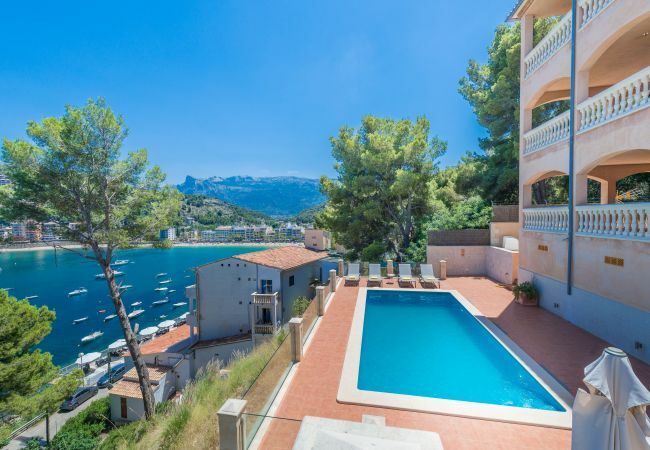 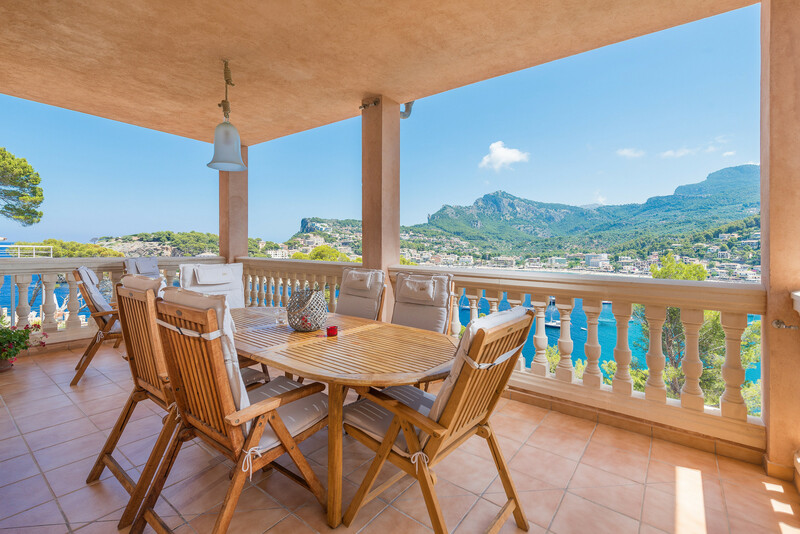 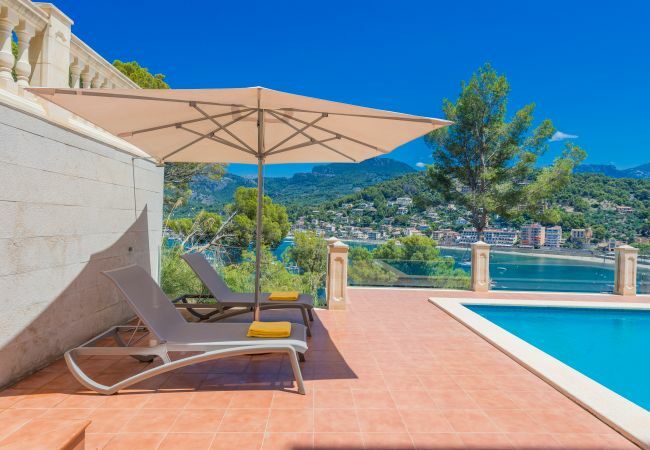 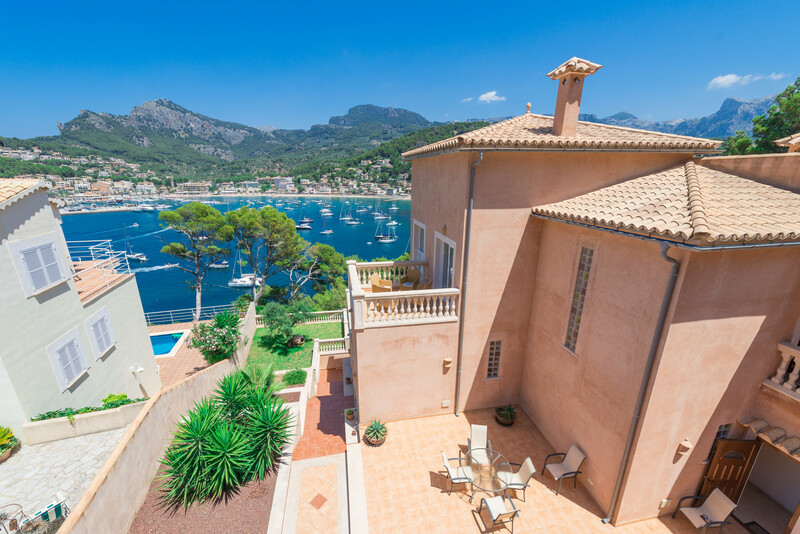 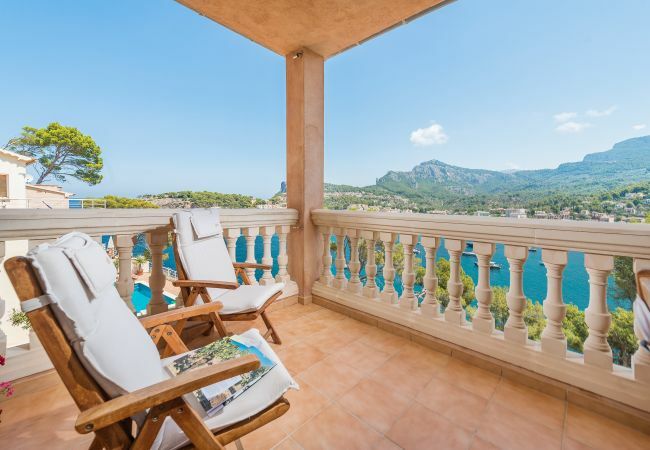 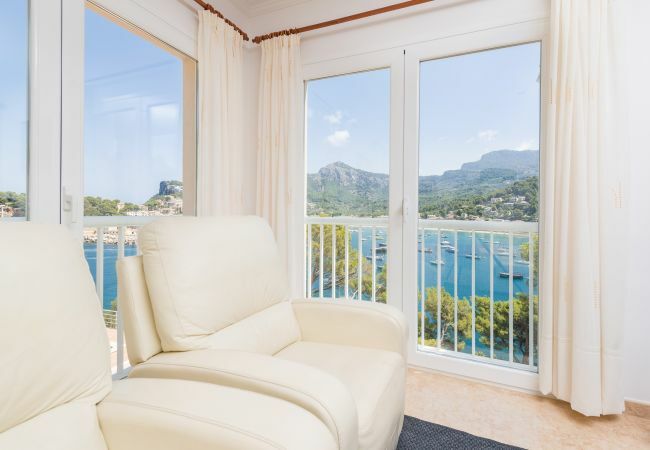 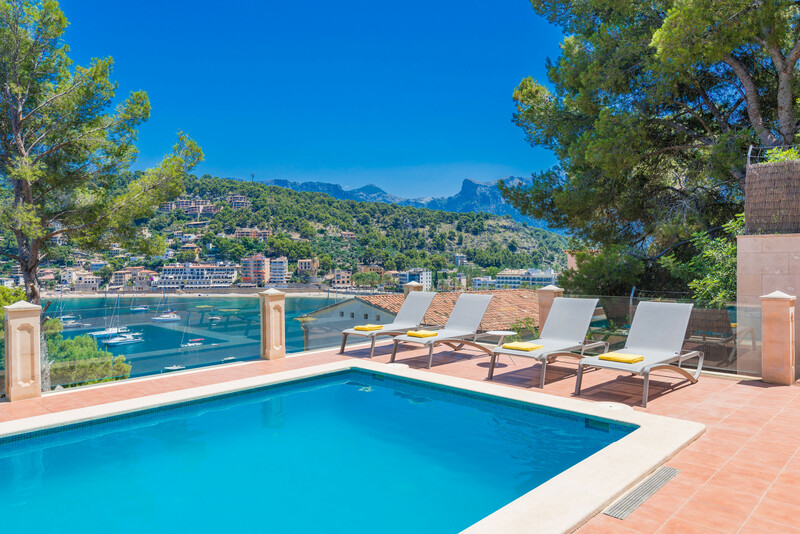 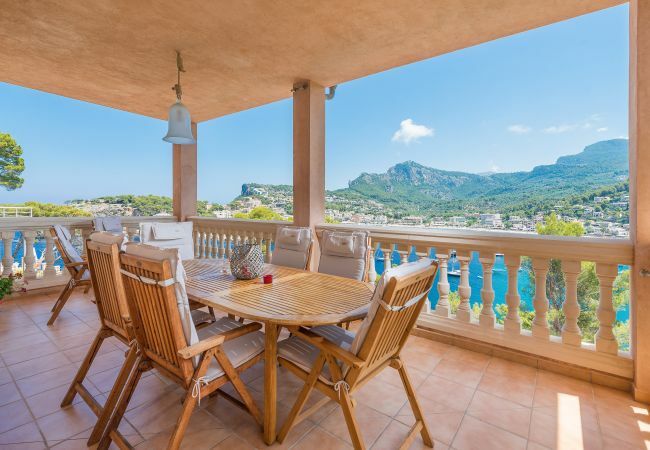 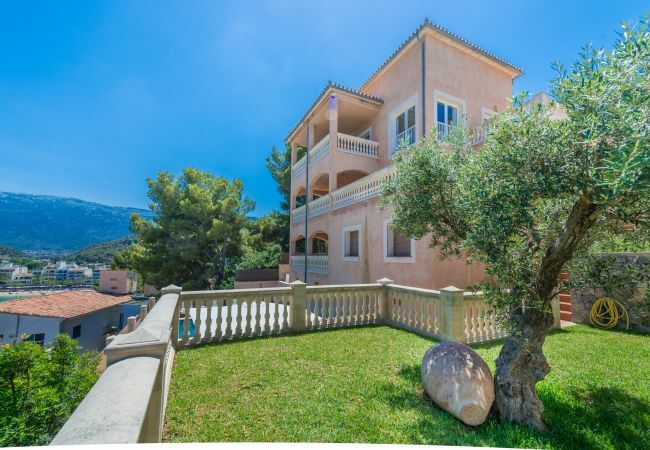 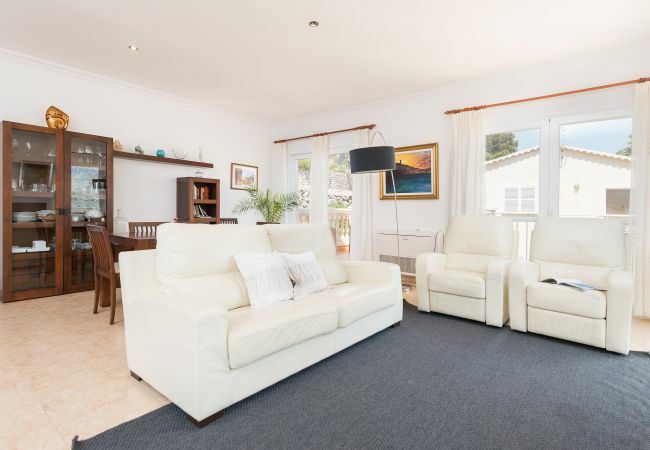 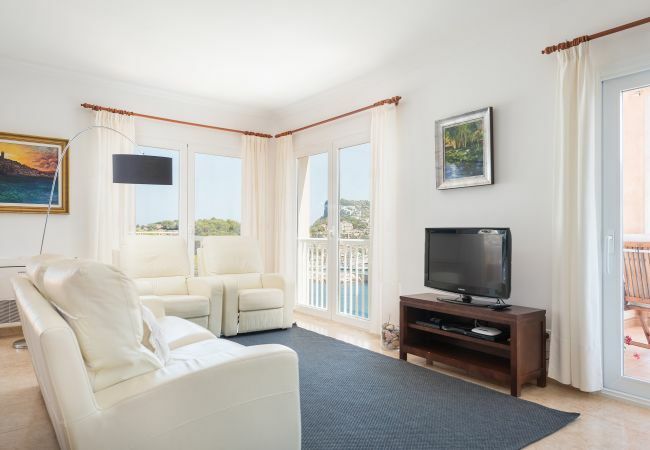 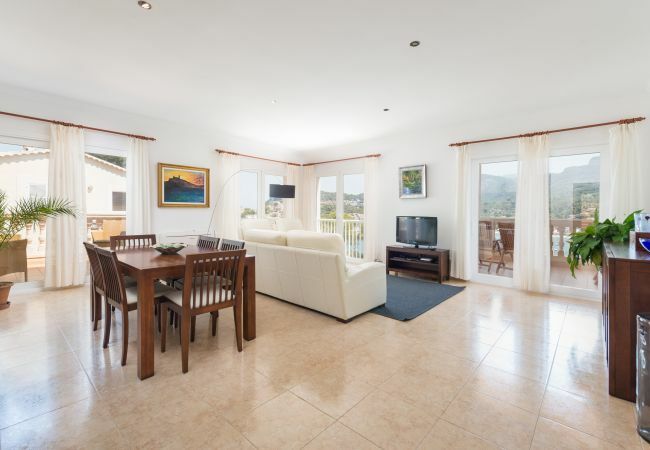 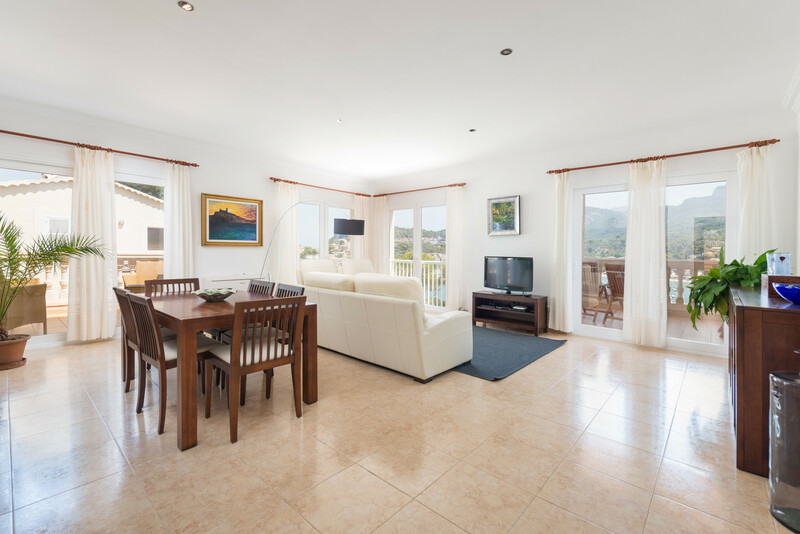 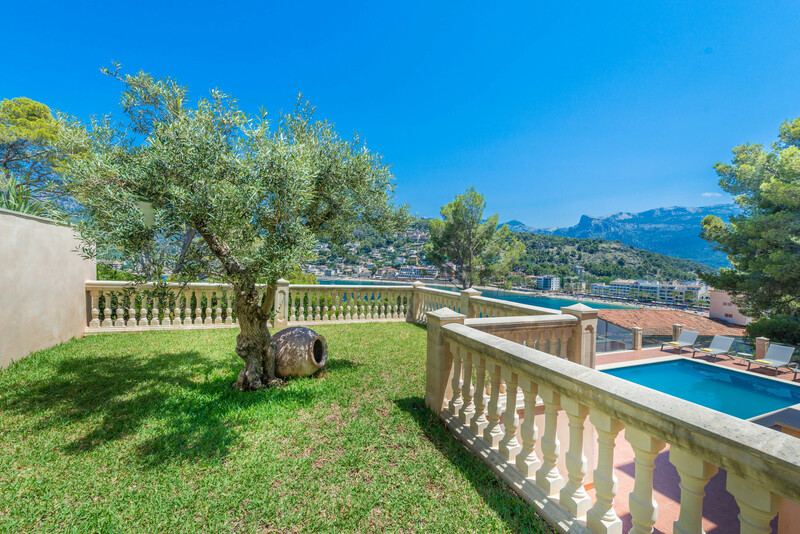 - 1 TV, TV Satellite (Languages: Spanish, English, German), garden, garden furniture, fenced garden, 20 m² terrace, barbecue, iron, internet (Wi-Fi), hair dryer, balcony, 400 m² property, 1,000 m² plot, air conditioning (hot/cold), air-conditioned, private swimming pool (dimensions 6x4, max depth 5.2 ft), Open-air parking (2 places) in the same building.